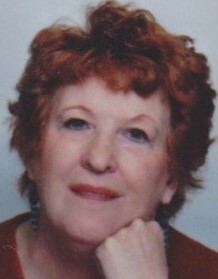 Carole Jean Kolesar, 74, of Lorain passed away on Tuesday, April 9, 2019 at Anchor Lodge Retirement Village following a battle with cancer. She was born in Lorain on January 15, 1945, the daughter of the late Michael John and Helen C. (nee Flaherty) Kolesar. She was a graduate of Lorain High School in 1963 and the Lorain Community College with her registered nursing degree. Carole worked at Lorain Community Hospital, St. Joseph's Hospital of Lorain, the former Providence Hospital in Sandusky and Kingston of Vermilion. She was very active in her high school class reunions, loved dalmation dogs, and enjoyed exploring her Irish heritage. She also enjoyed crafts, traveling, geneology and shopping. Carole is survived by daughters, Kelly (nee Turton) and her son in law Richard Sand of Vermilion, Robin J Wawrzynski, of Carlsbad, NM, Nicole R (Edward "Randy" Cwik) Lawrence, of Lorain, grandchildren, Brett Sand, LeAnne Sand, Jordan Wawrzynski, Alexis Wawrzynski, Jackson Wawrzynski, Tylor Lawrence, great grandchildren, Avery Sand, Oliver Lawrence, and her sister, Sharon M Dixon of Wickliffe. The family will receive friends on Thursday, April 18, 2019 from 5:00 pm until Celebration of her Life at 7:00 pm in the Schwartz, Spence, Boyer & Cool Home For Funerals, 1124 W. 5th Street, Lorain. The family suggest that memorial contributions may be made to Lorain Historical Society, 329 West 10th Street, Lorain OH 44052.